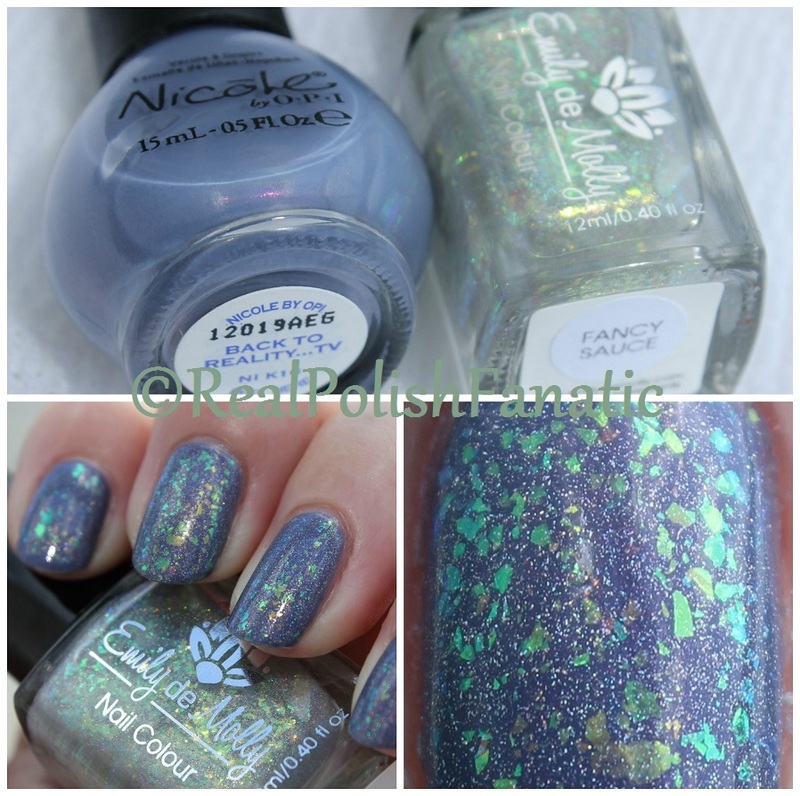 Yesterday’s Mani Update: Nicole by OPI "Back To Reality…TV" & Emily de Molly "Fancy Sauce"
Fancy Sauce is a gorgeous flakie/holo topper. I didn’t even realize there was holo in there until I went outside to take my pictures! 🙂 Inside in my office, I only saw the flakies – which I thought were so beautiful! Then outside BAM! hello holo! Last night in my office I could only see the holo with my overhead light on, so this topper adds an ever changing look to your mani! I’m a big fan of Emily de Molly polishes! Formula was great! It dries smooth. I bet this would look great mattified too. I think I’ll throw on a matte topcoat to see what that looks like!